Normal sinus anatomy is complex, and can be difficult to appreciate on static images alone. Therefore, this exhibit contains an interactive atlas of the normal sinuses in the axial, sagittal and coronal planes. 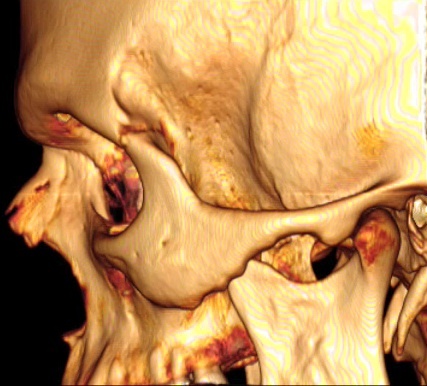 As a demonstration, please move your cursor over the 3D skull below to scroll through a coronal stack of CT images. Besides this interactive atlas, this exhibit also includes multiple labeled static images of normal anatomy, normal anatomic variants and pathologic processes for each of the paranasal sinuses.